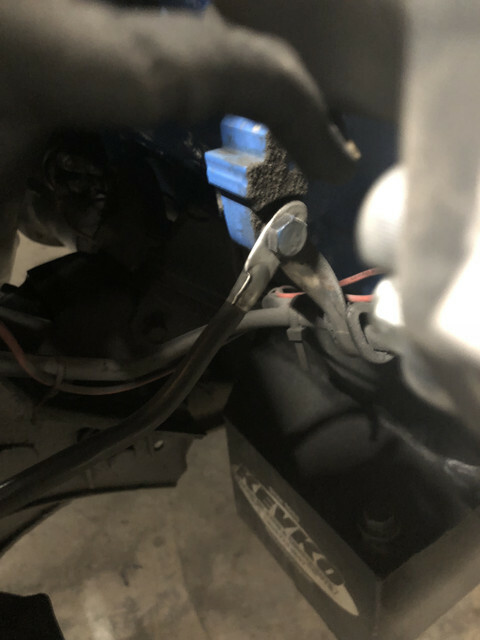 Negative cable goes from battery, to the voltage regulator then to the engine... right? Does the tab on the cable go on top or under the voltage regulator? Does the tab go to the forward upper screw or the lower rearward screw on the voltage regulator? Where does the other end of the cable connect to the engine? Rear lower bolt. My guess would be on top for best connection. Anybody have some detailed photos? 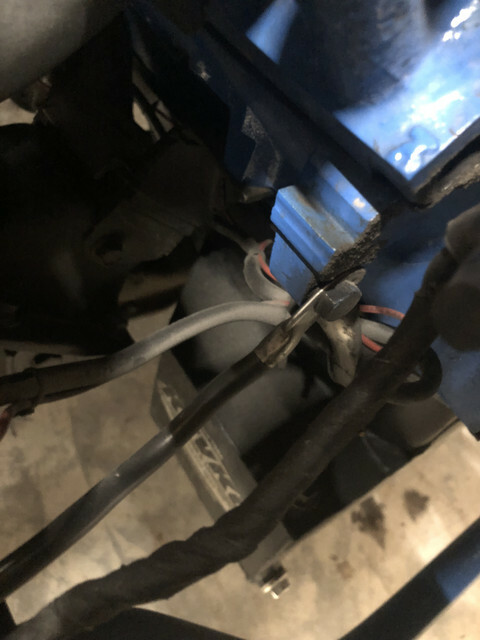 I have searched a few eBay listings for good engine compartment photos and so far I have not found anything showing where the end of the cable goes on the engine. Here you go. Behind alternator. Glad I could help. Don’t mind the road grime down there. I drive my car every chance I get.